It's UK Chocolate Week this week, but not so long ago, a celebration of British chocolate would have been a brief affair. 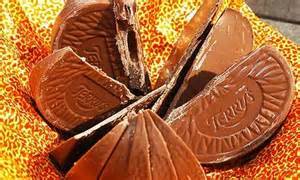 With the exception of a handful of trailblazers, the British chocolate market was dominated by the mass-market and the mass-produced: it was Dairy Milk for me and Bournville for mum all year, with a Terry’s Chocolate Orange thrown in at Christmas. What a transformation there has been. UK Chocolate Week is crammed every day this week with tastings, demonstrations, themed meals and teach-ins that showcase the work of more than 100 chocolatiers from all over the country, while the Chocolate Show at the end of the week emphasises London’s increasingly influential position on the international chocolate scene. This change has been driven not by a shift in tactics from the corporate moguls, but by an upsurge of enthusiasm from the consuming public as chocolate fans become chocolate producers. Duffy Sheardown who makes bars with a global reputation in basic premises in Cleethorpes in Lincolnshire, is the archetype of the British fan-turned-manufacturer. But many others are following in his footsteps, often employing the same basic techniques: seeking out small quantities of high-quality cocoa beans from individual growers abroad, and then processing and transforming them into bars on a small scale in Britain. 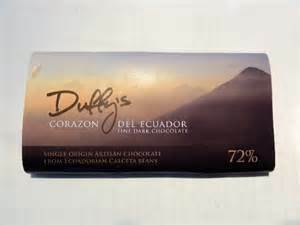 Duffy’s beautifully crafted bars using beans from individual growers in central and South America have won multiple gold awards from British and international juries. Inspired by his example, artisan British producers are experimenting with new techniques such as barely treated “raw” chocolate and new additions such as sourdough crumb and citrus essential oils. Green & Black’s serves a useful role here. It may be owned these days by Kraft, like Cadburys, but it makes the notion of better-quality chocolate at a reasonable price available to a wider audience. Hotel Chocolat is better still – although HC (chocs below) has become a big company too, with getting on for 1,000 employees and 100 shops, co-founder and boss Angus Thirlwell keeps his creation close to his cocoa-enthusiast roots, proudly growing its own beans in St Lucia and championing small growers elsewhere. 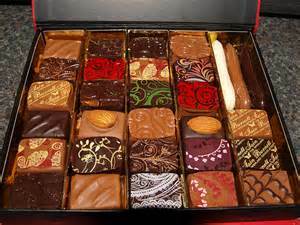 Both bars and filled chocolates are hotbeds of competition, and it is in competition that the best newcomers make their mark. The Academy of Chocolate has seen ever-increasing numbers of artisan makers seeking its mark of approval, while the Great British Savoury Chocolate Challenge is scooping lots of attention and high‑quality entrants with an impressive prize fund, blue-chip backers and television coverage. 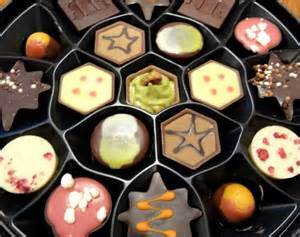 Last year’s winner was “Highland Chocolatier” Burnett (chocs below) with his salted raspberry and capsicum velvet truffle. All of this is good news for chocolate fans – and for chocolate fans who dream of becoming chocolate makers.